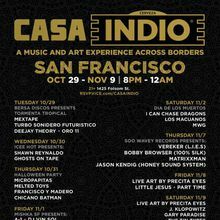 Indio Beer & VICE present Casa Indio, a unique music and art experience across borders. 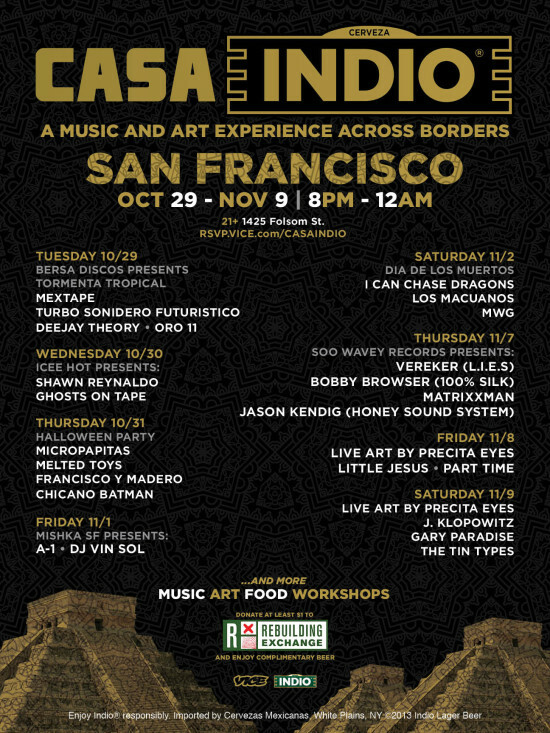 We're bringing our favorite Mexican artists to the US in an event series that will hit Los Angeles, Chicago, Austin, and San Francisco this year. Donations are welcome at the door to benefit Rebuilding Exchange. Complimentary beer served.